Over the past few months, I’ve acquired a few goods that aren’t large enough to merit their own review but are worth mentioning at one point or another. Moreover, I foresee further acquisition of smaller goods like this well into the future, so I wanted to create another small series of posts where I can outline my thoughts on multiple random products all at once. Best of all, small products like this are terribly fun to shoot with a camera, so I know I’m going to have a blast completing these kinds of posts down the road. With that in mind, I had to come up with a relatively unique name for the series. I’ve always been a Jeopardy fan and I’ve found I excel in categories that are markedly nerdy in nature. Any categories specializing in Star Wars, professional sports, or Canadian geography were my specialty. On the flip side, I sucked in the Potpourri category, mostly because I could never figure out how to pronounce the word as a kid and because the category was always filled with random stuff that only the smartest people would know. So here we are: Potpourri. This series will be a mixture of random products that no regular person would consider reviewing. And, most importantly, I aim to excel in this category for the first time in my life. Without further ado, here’s my first crack at the Potpourri category. 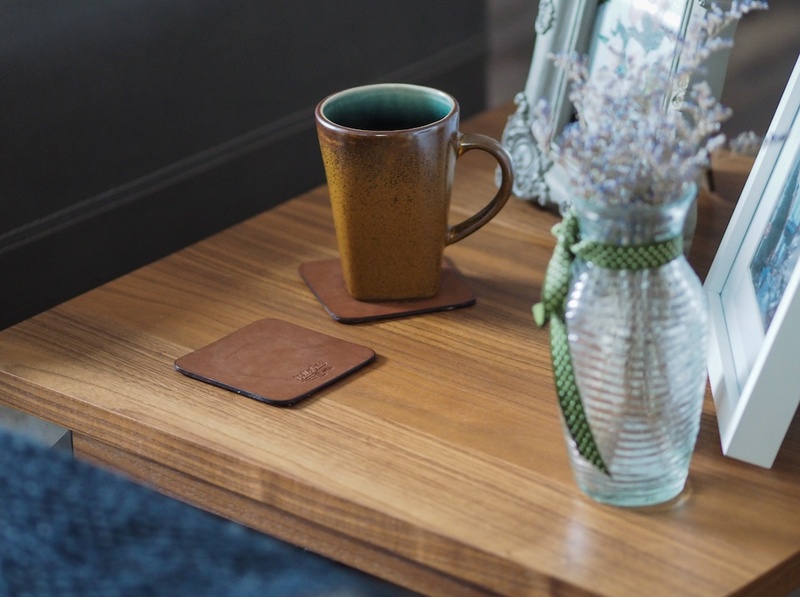 I (along with a million other people) discovered these beautiful leather coasters in Matt Alexander’s Need magazine back in August. When I want something immediately, the first step is to send a link to my wife for approval. She hesitated ever so slightly, so our purchase was delayed for a while. When we finally pulled the trigger, we realized we waited too long. 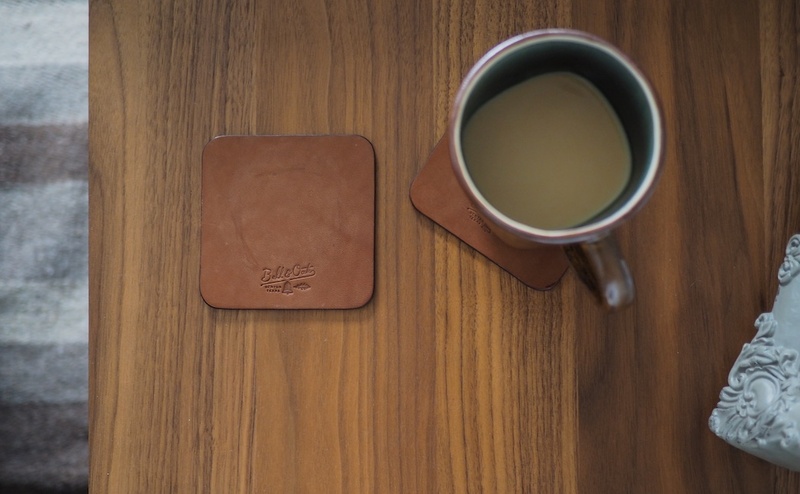 Bell & Oak makes a slew of unique leather products and these coasters imbue the same attention to detail as the rest of Bell & Oak’s product line. The leather is conditioned to be soft to the touch and the edges have been beautifully burnished so as to avoid fraying and other mishaps. If you have these coasters on your coffee table and company walks through the door, be ready to explain where you found them. These things are a marvel. I was sent these neat bulletin board pushpins over the summer and I have been trying to devise ways to show them off. 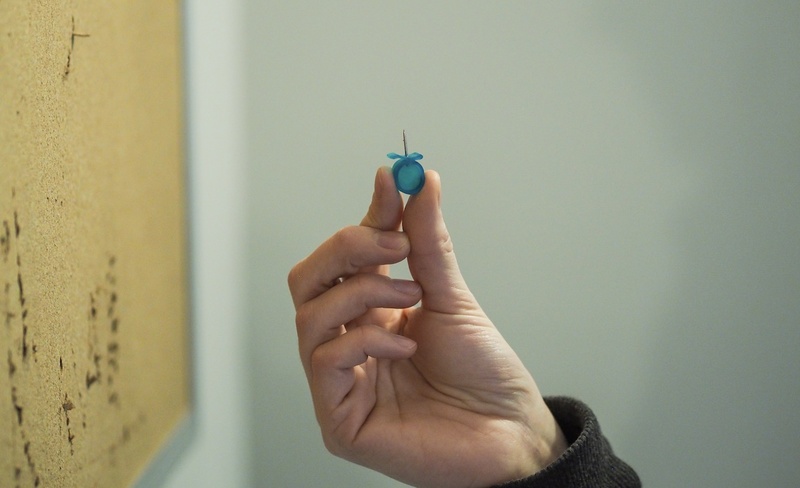 These pushpins were invented by David Wagner for his daughter. 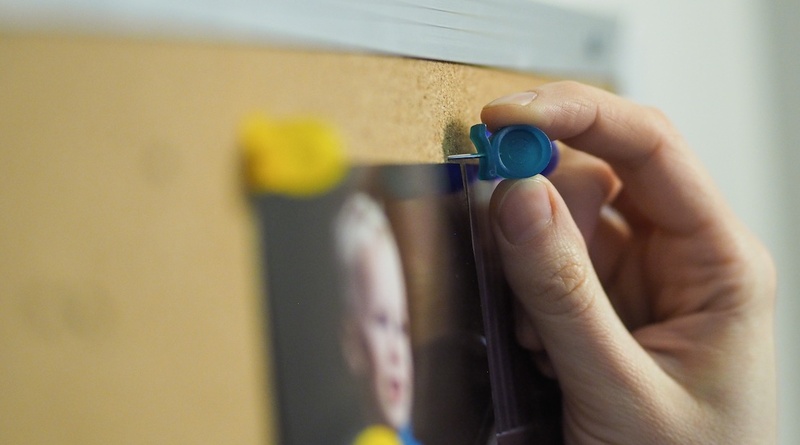 David’s daughter wanted to pin her photographs and other momentos to a bulletin board, but she was afraid to pierce the paper and ruin her photos forever. In turn, David invented the Q-Pin, which neither pierce nor affect a pinned photograph in any way. Now I don’t have any major use for bulletin board push pins as I don’t keep any bulletin boards around the house or at the office. Having said that, I can tell that these pushpins will do the trick for the bulletin board connoisseur. Q-Pins come in packs of 24 and retail for a mere $5. If you’re in need of something unique to keep your documents looking pristine, you should check them out. I also have an extra pack on hand, so if you’re interested, get in touch. Due to a small ordering glitch with Need and the above Bell & Oak coasters, I also received this gorgeous Bell & Oak key lanyard. 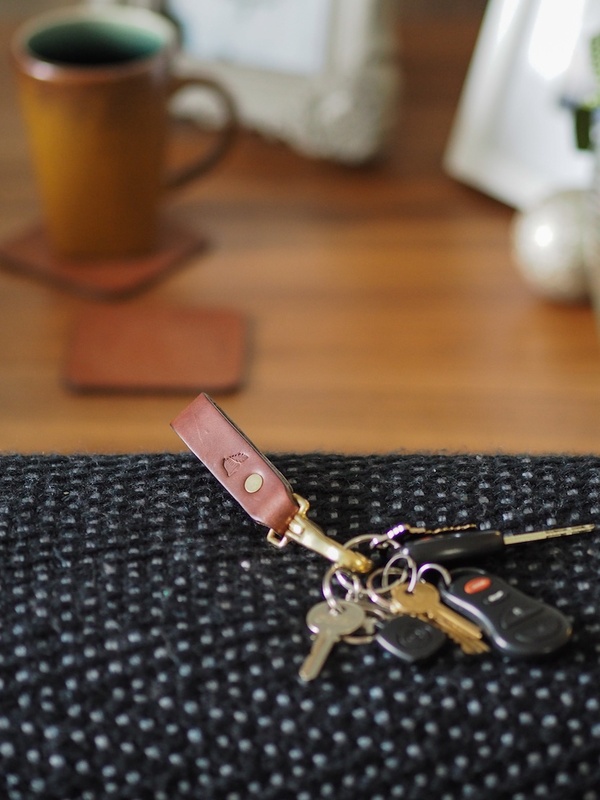 I seem to carry a pile of keys, so adding to my keychain is the least of my desires. 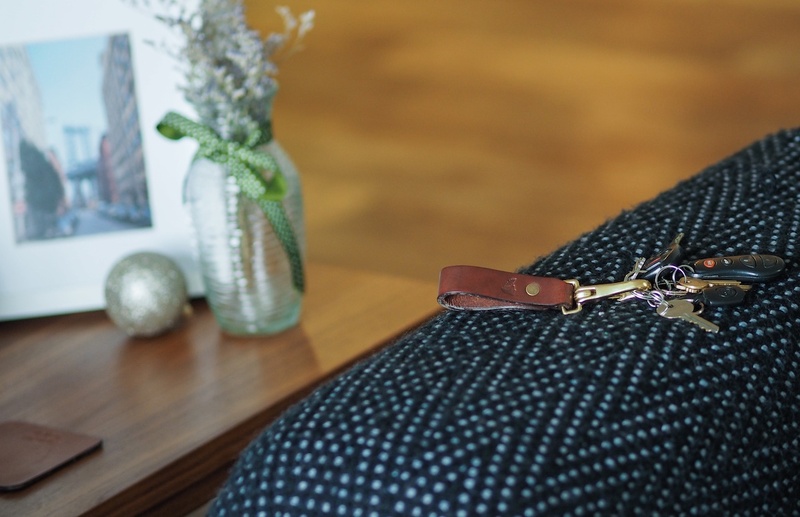 This lanyard is made of thick, heavy, and extremely durable leather that will be reliable to the end. Due to the heft of the leather, I was reluctant to add it to my everyday carry. After giving it a shot, I think it will remain on my keychain. Tools & Toys just published a list of their favourite keychain belt loops and I think they should add this one to their list. Bell & Oak’s offering is solid and looks pretty charming to boot. The last product I received in my ordering glitch was this bottle of shampoo. Fellow Barber is a barber shop with three locations in New York City and one in San Francisco. 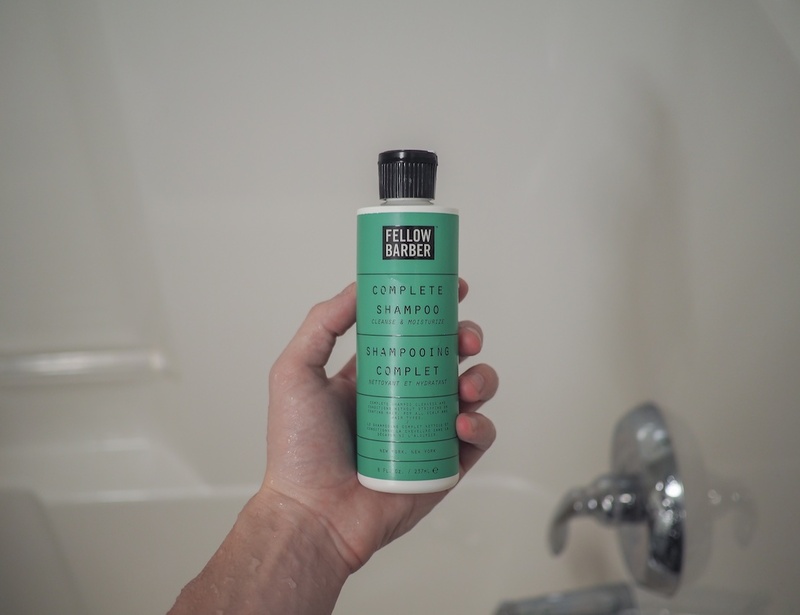 After trying out this unique shampoo, not only will I be buying a couple month’s supply, I’ll be sure to check out one of their locations the next time I’m in NYC. This shampoo is alcohol-free, paraben-free, sulfate-free, not tested on animals, and made in the USA. The bottle looks awesome and has been designed to stand out. And very fortunately, the product on the inside will help you stand out as well. This shampoo smells fantastic and has made my hair smooth for the first time in my life. It’s not everyday that I boast about a hygiene product. With Fellow Barber’s Complete Shampoo, my own mother asked me what I had done with my hair. It’s that impressive. You can even pick up this shampoo on Amazon (Prime! ), so there’s no excuse for not looking good and smelling even better. This game is the latest piece of software that has entranced my mind. It was promoted a few weeks ago on the App Store, so I figured it was worth the free download. My face has been glued to the iPad ever since. 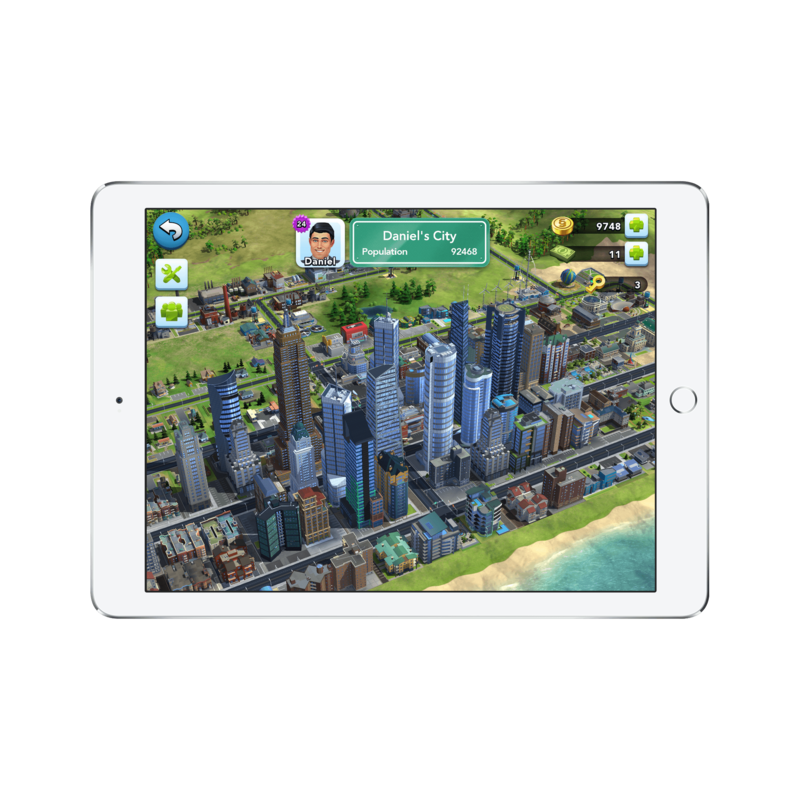 The game provides the classic SimCity playing experience. You build residential zones which can be upgraded through the production of resources and the manufacturing of goods. Coins are earned by upgrading your residential zones into skyscrapers and by selling your goods. Golden Keys, which are used to buy landmarks and specialized buildings, are earned by completing shipments of goods to other cities and by rebuilding after natural disasters. But there’s far more strategy to this SimCity game than I would have originally given it credit for. Leveling up isn’t always the best idea and you better be sure you have the cash necessary to pay for services for your Sims. If you don’t, this game will get annoying fast. EA makes sure to not make you spend real cash, but they have certainly created the environment to urge you into purchasing. 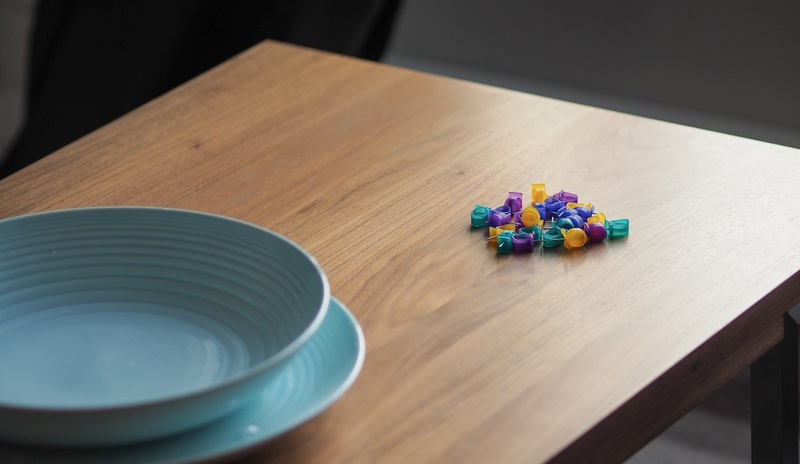 Producing resources and manufacturing goods takes considerable time (the latest Sugar and Spices resource takes four real hours to produce) and spending real money allows you to speed up the process. I recommend backing away from spending real cash and putting down your iPad from time to time to let the resources finish. 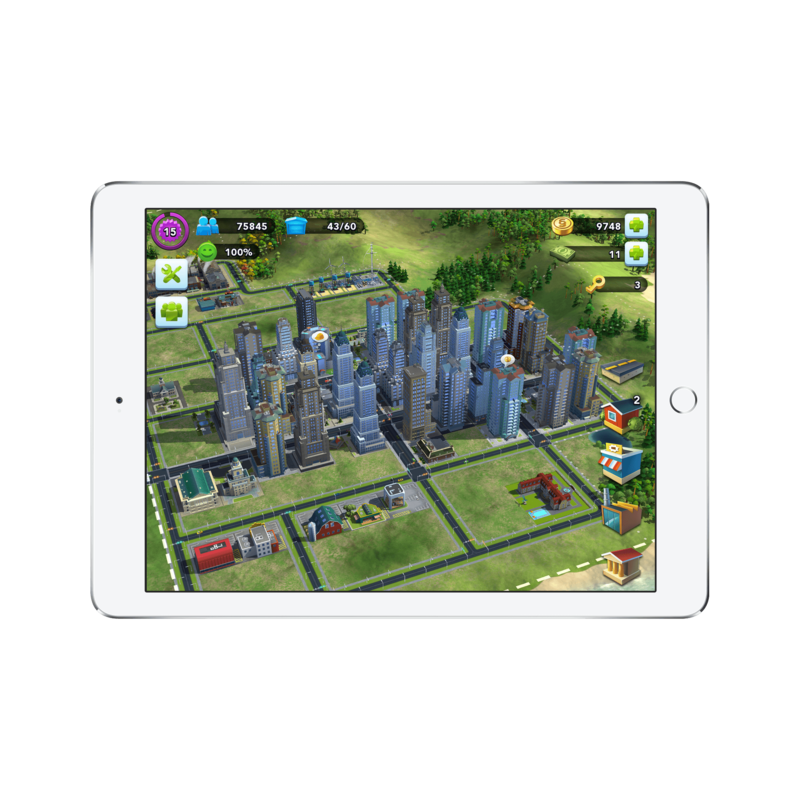 There are some hiccups, but SimCity BuildIt is a pile of fun and I bet you’ll be addicted like me within no time. How could I go through an entire article on miscellaneous goods and not talk about the drink I enjoyed most over the holiday season? I’ve been following Álvaro Serrano’s series on scotch whisky fairly closely, so I had to try a bottle sooner or later.1 I asked my boss (Irish boss, might I add) which was his favourite and he swore by the peat moss Bowmore offerings. On the eye warm amber. 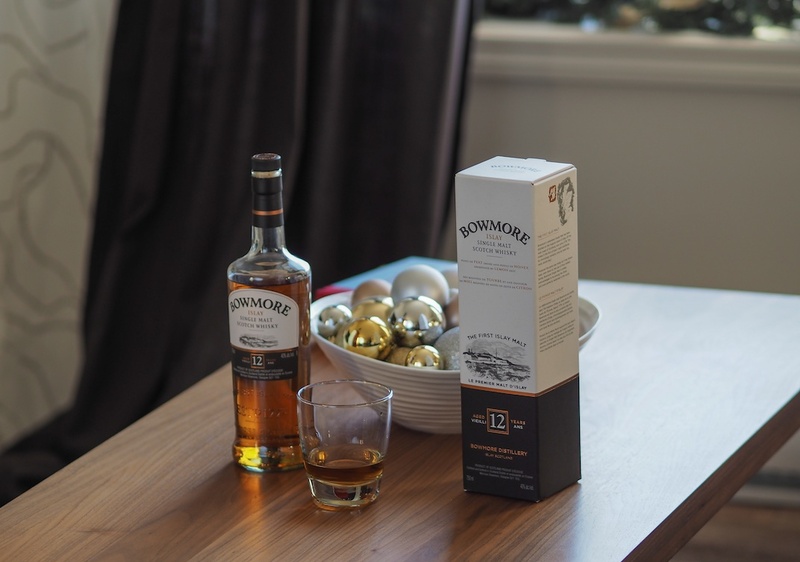 Breathe in subtle lemon and honey, balanced beautifully by Bowmore’s trademark peaty smokiness. Sip sweet and delicious heather honey and gentle peat smoke. Savour the long, mellow finish. Savour the long, mellow finish indeed. I’m going to pour myself a glass right now. If you want to sit around the fireplace and talk with your friends, stay classy with this tasty Islay scotch whisky. Overall, I’m very pleased with all six of the above items. I never thought I’d see the day where scotch and shampoo lined the halls of The Newsprint. However, The Newsprint’s headquarters would be incomplete if not for these unique products. If you give them a shot, let me know what you think. 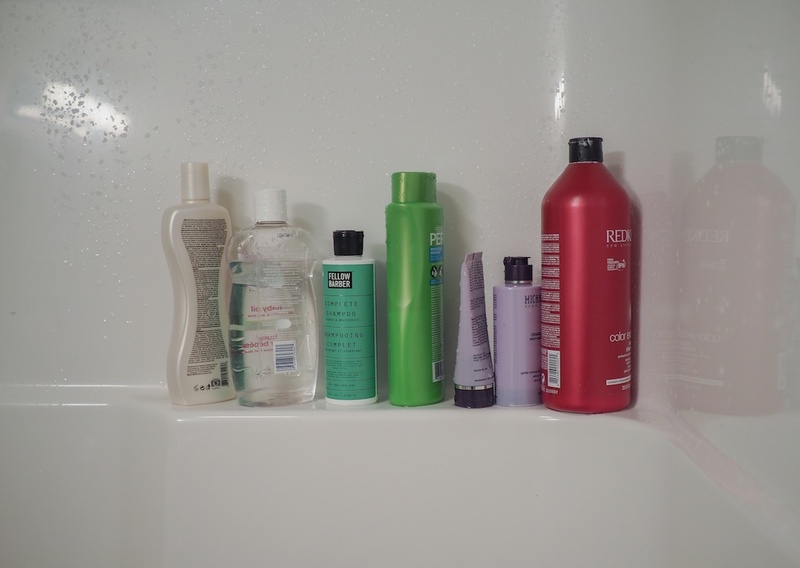 I’m always up for a discussion on shampoo.